How Effective are Whistleblowing Systems? The effectiveness of the so-called “hotline or fraud line” in gathering vitally important information on wrong doing or detrimental behaviour in the workplace is significant. A Whistleblowing system is an innovative solution to dishonesty, fraud and other inappropriate behaviour in the workplace.It doesn’t matter whether you’re an employee, customer, supplier, manager or shareholder. With a hotline like this in place you can report fraud and inappropriate activities in an organisation in a safe, confidential and secure way. But what are the “ins and outs” of installing such a system? Q. Are the calls recorded? A. Yes, all calls are recorded. Q. Are the recordings made available to anyone? A. No, the recordings are for the sole use of Whistle Blowers personnel, for reference purposes. It is too risky to allow anyone, even the client, to listen to the recordings, as they may recognise the voice of a caller, possibly exposing the caller’s identity. Q. Can subscribers visit the call centre? A. No, the call centre address is confidential as the employees who work there have to be protected. Q. How do we know that the call centre personnel will keep information confidential? A. Strict selection criteria and background checks are utilised in the selection process. Management also reserves the right to subject operators to profile audits and truth verification testing to determine their continued honesty and integrity. Q. Can my call be traced by the call centre? A. With technological advances, there is an obvious risk of tracing calls back to the caller. However, as each client is provided with a free-call number, the caller can make the call from anywhere at no cost, thus making it more difficult to trace it back to a specific person. Q. Surely there are hoax calls. How are these exposed? A. By thoroughly questioning the caller to obtain maximum information, experienced operators would soon detect if the caller was phoning in to falsely accuse someone against whom he bears a grudge. Call centre staff make every attempt to qualify all information received before reporting back to the client, as well as providing advice on how the situation should be handled. Q. Does the concept have any incentive attached to it? (We are prepared to facilitate the payment of a reward should the company deem it necessary to do so. The initiative to make this decision is left entirely up to the relevant client company). Q. 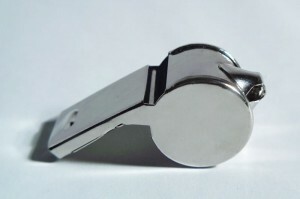 Are whistle blowers protected by the law in any way? A. Yes, they are protected from unfair discrimination, recrimination, occupational detriment, harassment, threats, etc. Whistle Blowers is an independent subscription service that is designed to provide employees with the means to anonymously “blow the whistle” on fraud, criminal activity and other irregularities in the workplace. Do you know that, potentially, a company’s potentially biggest enemy is not its clients, service providers or suppliers, but its own employees? The impact of internal criminal activity is still highly underestimated by South African businesses and should not be overlooked. For more information contact Whistle Blowers.